Omg, so many things happened in the last month! I've been really busy with some of my new projects and My Little Man who decided to totally chande his sleeping routine twice this month so when I had some time that could be a moment for my blog I just felt far too tired to write something. But now it feels like I just should write something, should share all the things I've done. 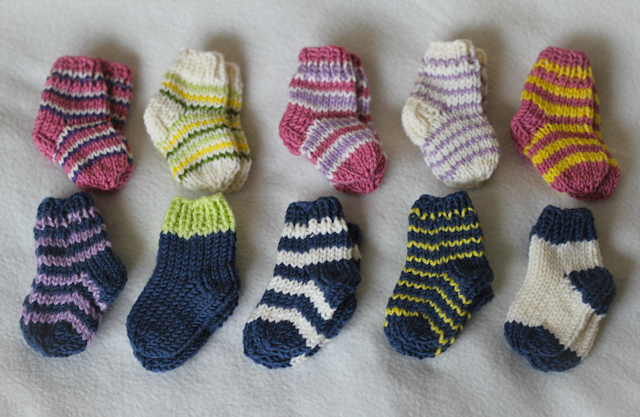 Now we are thinking of presentation boxes and lables and after a while this little socks will be sold in Knitters World Scarborough as Baby First Socks in a nice gift boxes. And everyone can order some really special ones from me, just let me know in comments. The next thing this month was the gifts for two ladies in our knitting club, who expect their babies in August and September. 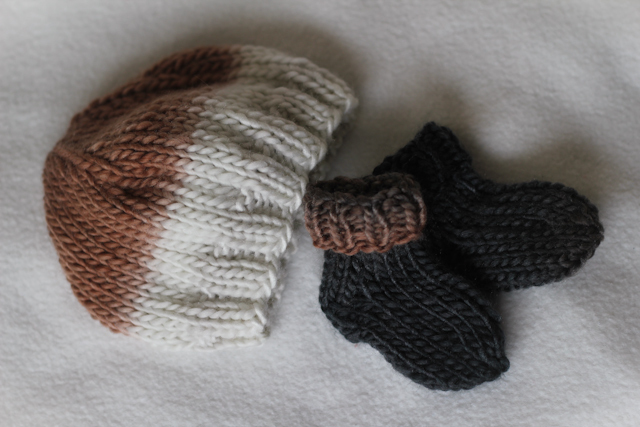 I made a little sleeveless jacket, hat and socks for one, and a cotton jacket for another one. You will see the similar sleeveless jacket in the next post where I will share a free pattern of it and I still need to make a picture of the cotton jacket, but it definetly will be done and I will tell you it's special story. Then I made two little toys as an example for the owner of our wool shop as he has an idea of making crochet workshop, where we could teach people to crochet toys using my patterns. I will not show you the toys I made, I used really odd scraps of wool for them, because I just needed to show the form of the toy and yarn didn't matter, it just had to be double knitt. I will make some normal samples and show them here a bit later. And the biggest project I had this month was a crocheted monkey that will have a separate post about it as it took me the whole week to figure out how to make it and to crochet it all. I'm glad you're inspired and have a lot of projects!